“Space is the cure to careless savagery, to stagnant two-party politics, to the fear that condemns visionary science to the dusty shelves of oblivion.” Franklin Kline stands poised to unite humanity as he extends our astral empire to Saturn. But a coup d'état 300 years in the making ignites the turf, and a firestorm of unrest sweeps through the solar system. Astronauts marooned en route to Titan watch helplessly as a tyrannical tycoon seizes the throne of humanity. Wounded and shaken, Kline’s survival depends on Eta Porter, but she conceals ambitions of her own. Few turfside dreamers dare to challenge this regime. But spacefaring humans—humans not of Earth—resist. 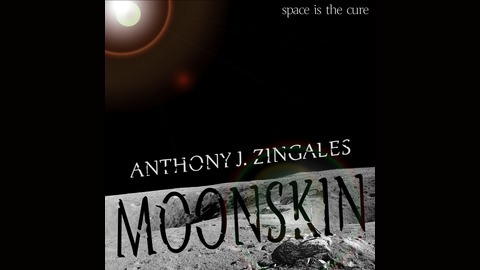 Moonskin is the story of a forsaken planet, one man who will stop at nothing to escape it, and two moonborn rogues who can never go home again. For additional information, visit spaceisthecure.com. 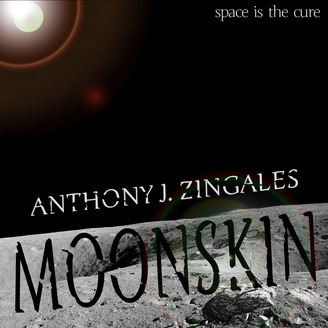 Moonskin is also available on Kindle and Kindle Unlimited. Rigel, Kline, and Eta have penetrated the Luna 2 citadel. Now is their chance to restore some measure of balance to a stagnant, truculent society.